The H2 SPORT CHRONOMETER is the best of both worlds – a significant sporty note but hardly comparable to any other sports watch. 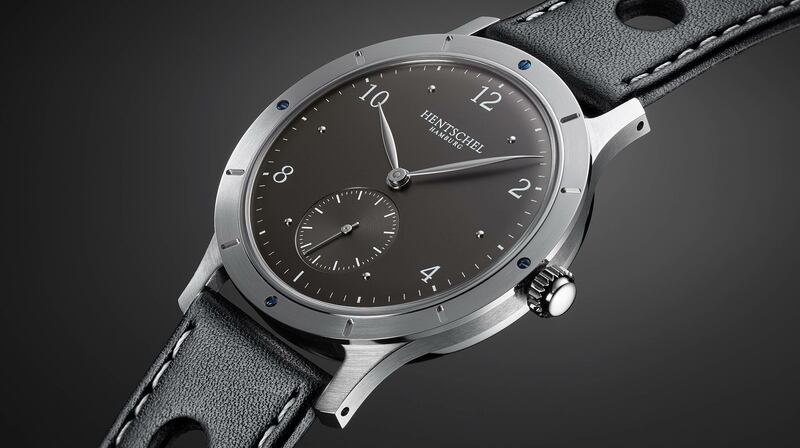 The H2 SPORT CHRONOMETER impresses with its elegant and casual sportiness. 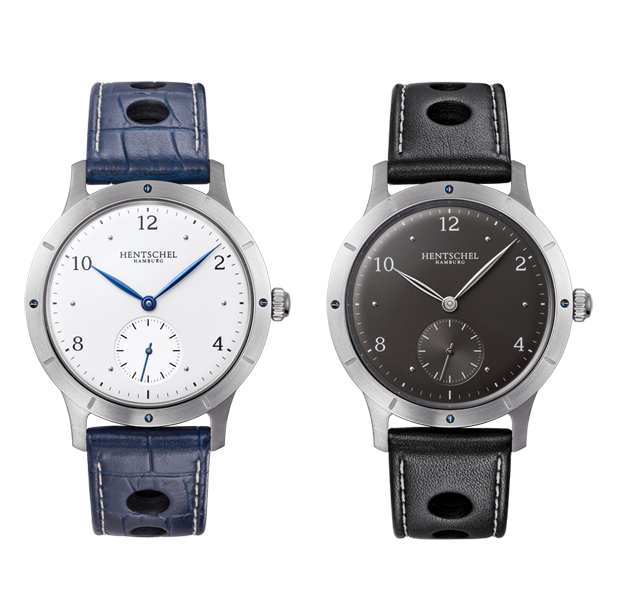 It has the robust and water resistant HENTSCHEL H2 case but doesn´t come with the bulkiness and weight of a divers watch. The dials of many sports watches are quite “busy” and cluttered too. Not so the H2 SPORT CHRONOMETER with its clear and easy to read dial that abandons any other unnecessary functions or indications deliberately. 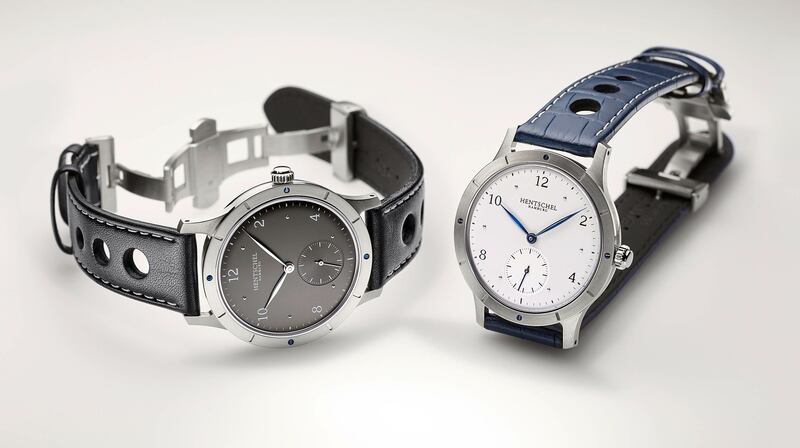 The reason for its perfect wear comfort are the harmonious proportions of the brushed stainless steel case. The watch has a low profile to slip readily under any shirt cuff without getting caught. 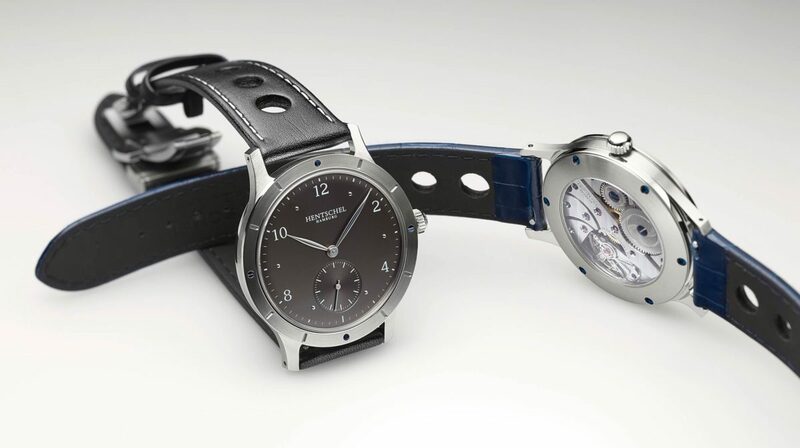 Its thickness is just a mere 8mm and by this just half as thick as other sports watches. The engraved bezel gives the H2 SPORT CHRONOMETER its discreet sporty note. 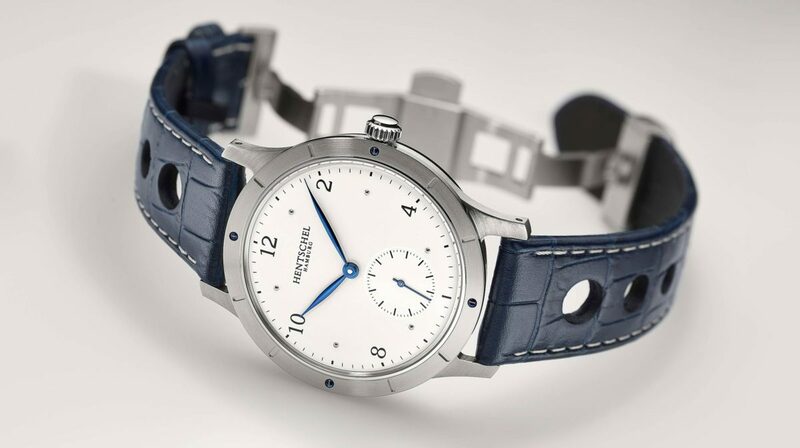 It is fixed with four blued screws to the case and provides the adequate frame for the slightly domed dial with its raised indexes. 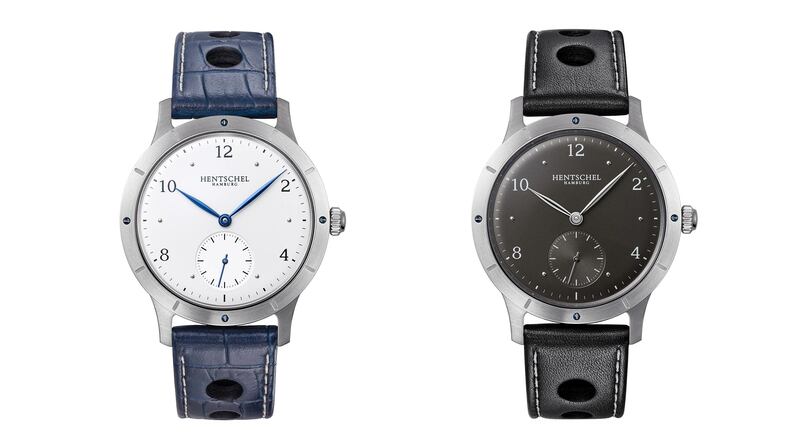 In combination with the likewise domed sapphire crystal the H2 SPORT CHRONOMETER appears exceptionally flat and three-dimensional at the same time. 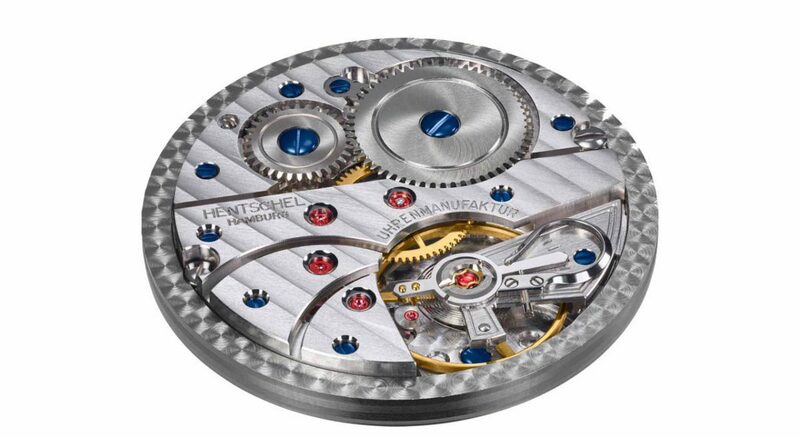 It is equipped with our new manufactory movement HUW 1130 S and is of course shock- and water resistant. Exclusiveness doesn´t stop on the inside: The new inhouse manufactory movement HUW 1130 S.
On the basis of the legendary Swiss Schild AS 1130 we have developed our latest manufactory movement. The curved bridges are newly constructed and are a reminiscence of the old pocket watch calibers from the early 20th. century. The swans neck regulator fascilitates a precise regulation of the movement. 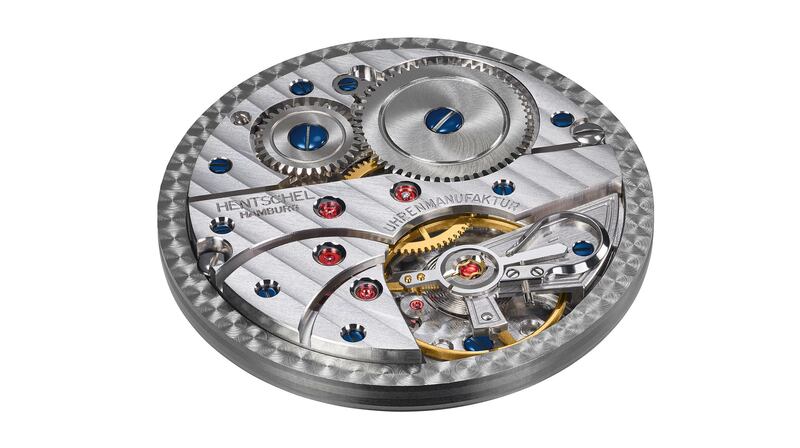 Every component has been optimized with the emphasis on minimizing abrasive wear and the longevity of the wheels and the escapement. The new HUW 1130 S sets a new standard and combines robustness with precision.